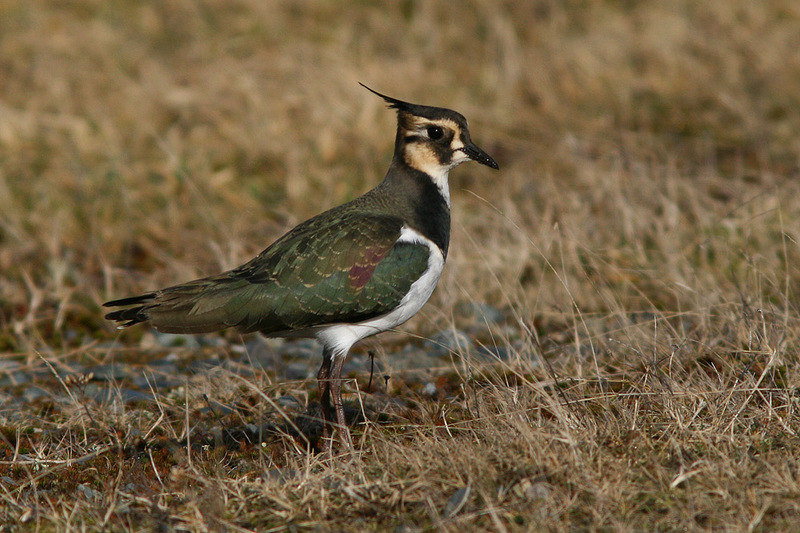 Northern Lapwing occur on a regular basis in Newfoundland - something no other place in North America can claim. This one was at Portugal Cove South in December, 2010. Origins: Breeds across northern Europe and Asia, as well as Iceland. It is highly migratory and winters as far as northern Africa, India and parts of China. Details: Records occur almost annually, typically in November/December. An unusual trans-Atlantic storm in December 1927 brought hundreds (perhaps thousands) of Northern Lapwings to Newfoundland & Labrador. There is only one spring record from Cape Race on April 25, 2010.